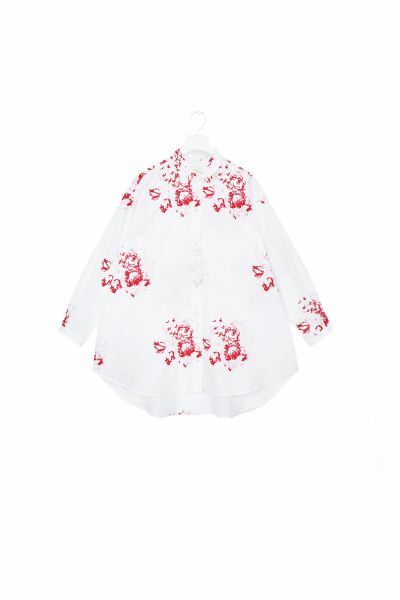 A simple, oversized shirt printed in our classic Hatley Cerise. Designed for sleeping, lounging, wearing by day and by night and generally being your favourite thing to put on. 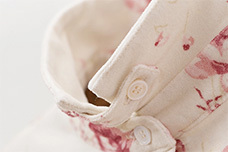 The Simple Shirt in the iconic Hatley print by Cabbages & Roses. It is a Cabbages & Roses staple from season to season. The shape has been taken from a traditional Oxford shirt. Cabbages & Roses engraved buttons fasten down the centre front. A simple curved hem falls to upper thigh and even lower at the back. This shirt has been made slightly oversized, as no one likes to sleep in straight jacket. We also like to wear him with jeans on lazy days. 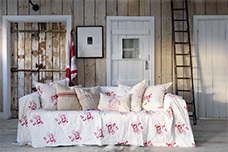 The Simple Shirt is made from a Cabbages & Roses own iconic Hatley print. 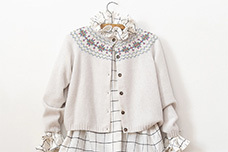 It is made from cotton lawn printed in London. He was made in Hertfordshire. 100% Cotton.